Super Spicy Chicken!, originally uploaded by Camemberu. This is the first time we tried Rite Pizza delivery and we were pleasantly surprised. Huge 14-inch pizzas that looked larger-than-life arrived piping hot (hotter than those that come in Pizza Hut's heated pouch). Loaded with toppings drowning in cheese! This one above is the super spicy chicken, with spicy chicken, mushrooms, onions, sliced chili and chili sauce - I was at first skeptical of this sweetish chili sauce on pizza but hmm, it was not too bad. Meat Diva!, originally uploaded by Camemberu. The other pizza we had was the Meat Diva - ground beef, beef pepperoni, turkey bacon, chicken ham and mushrooms all submerged under a generous layer of cheese. What I really liked were the crisp, burnt edges of the crust, all brushed with cheese. The dough is also lighter and thinner than most other home-delivered pizza, so you don't get the sickening heavy feeling in your tummy after eating. Everything is drowned in cheese!, originally uploaded by Camemberu. 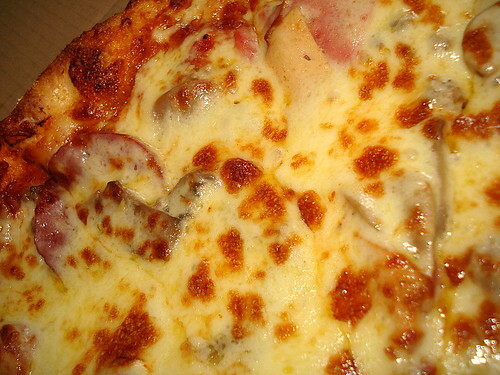 Close up of the Meat Diva pizza, or what a swimming pool covered in baked cheese might look like. Never thought I could have too much cheese on a pizza but this is almost the case. But apparently they use low-fat cheese, so you can feel less guilty eating all this. Must have been low-sodium cheese too, cos it didn't taste salty at all. 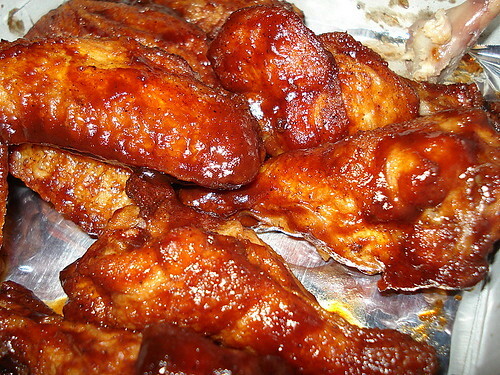 Chicken wings, originally uploaded by Camemberu. The other star was the chicken wings - nicely fried and doused all over with BBQ sauce. Now, I'm not fond of BBQ sauce but I liked this version. Rite Pizza is halal too, originally uploaded by Camemberu. 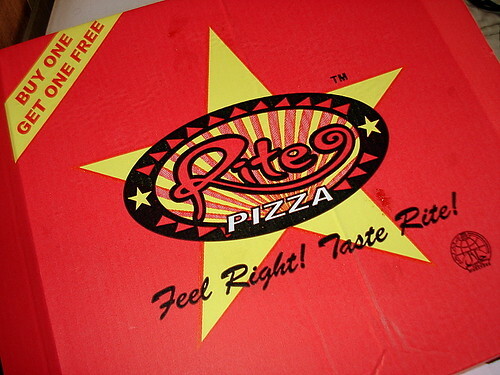 Rite Pizza was formerly known as US Pizza (I remember them a few years ago at Holland Drive. Not sure if that branch is still there). Well, large pizzas are fun but I think I will try the smaller sizes next time - this was enough to feed the family for two days running. Can't wait to try the other flavours, yum. Oh, they gave us a bottle of Pepsi for free too with the order. OMG! So much cheese. Woohoo, looks delicious. my experience with Rite pizza was horrid. the whole team did not enjoy it. 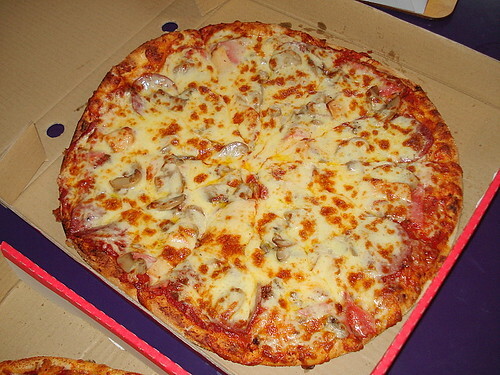 just ordered pizza de france last week and it tasted so much better! Hey, chipmon? Do let me know which pizza you all ordered so I can avoid it! :P Hmm, Pizza de France is another one that I haven't tried. 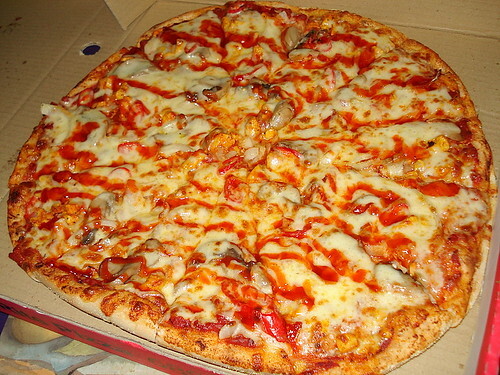 which outlet of pizza de france that you order from? I didn't order from Pizza de France. This is Rite Pizza. Contact details are at the end of the post.